Last week, the Beck | Envision team, along with many other professionals from around the community, came together in support of the CDC of Tampa during their Champions Luncheon. During this year’s luncheon, the CDC highlighted a few of the many impactful things they are currently working on within the community. One thing, in particular, is the building of an affordable and fresh farmers market within the neighborhood of East Tampa. The CDC has also begun establishing townhomes within the East Tampa neighborhood that will allow those who may have never considered homeownership the opportunity to own their first home. 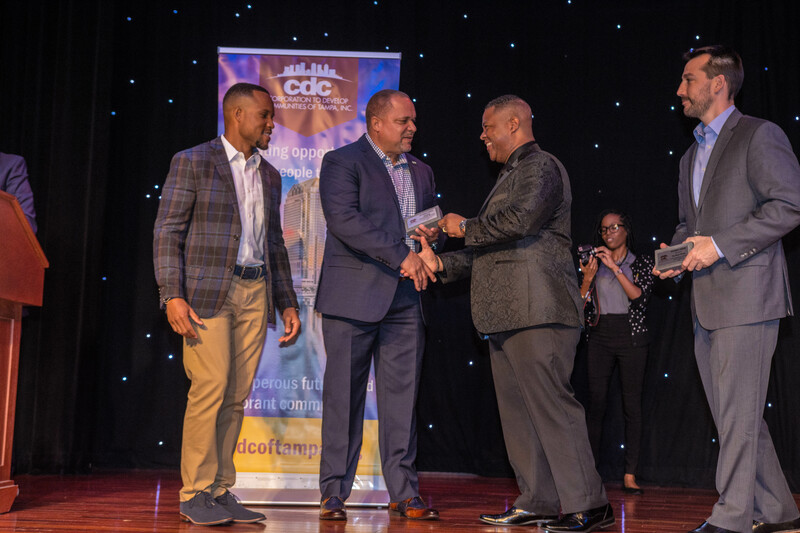 The CDC of Tampa has been making a significant impact on the residents of Tampa Bay since their opening in 1992 as they continually think of ways to build up the community of Tampa. As The CDC continues to build their legacy within the community, we at Beck | Envision are humbled to partner with an organization who shares a true heart for the community as we play a small role in their overall vision. 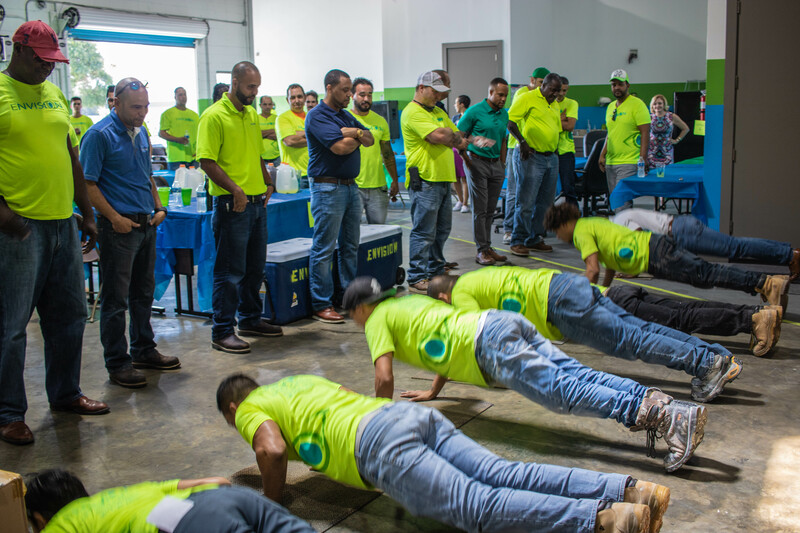 Each quarter, every team member of Envision will come together and fill our company’s headquarter warehouse to learn more about company updates, participate in training, enjoy great food, and engage in a friendly competition of push-ups for our quarterly company-wide meeting. 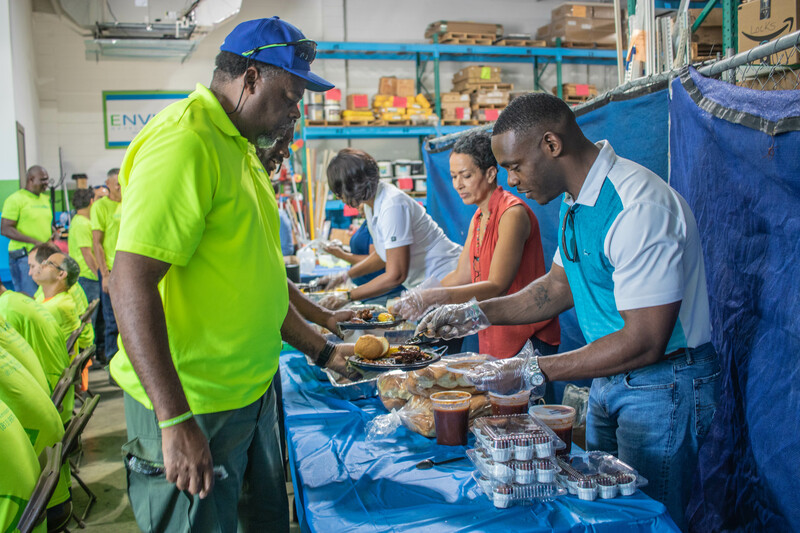 During last week’s quarterly meeting, the Envision team enjoyed a delicious catered meal from 4 Rivers BBQ Smokehouse, sponsored by one of our Tampa vendors, Susan Cameron from Shaw, as our field team members participated in a safety and PPE training hosted by our ADP Safety Specialist, Steve. 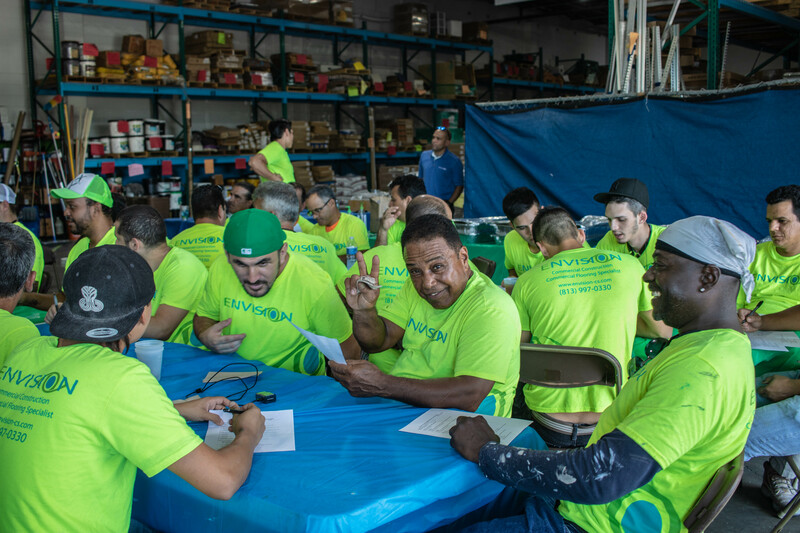 This quarterly meeting, we also took the time to update our team on the various projects we’ve recently been awarded for our Flooring Division and our CM Division within the last quarter, as our Managing Directors’ shared their hearts and gratitude towards the team members for all of their hard work and dedication that made it possible for Envision to reach these major milestones. 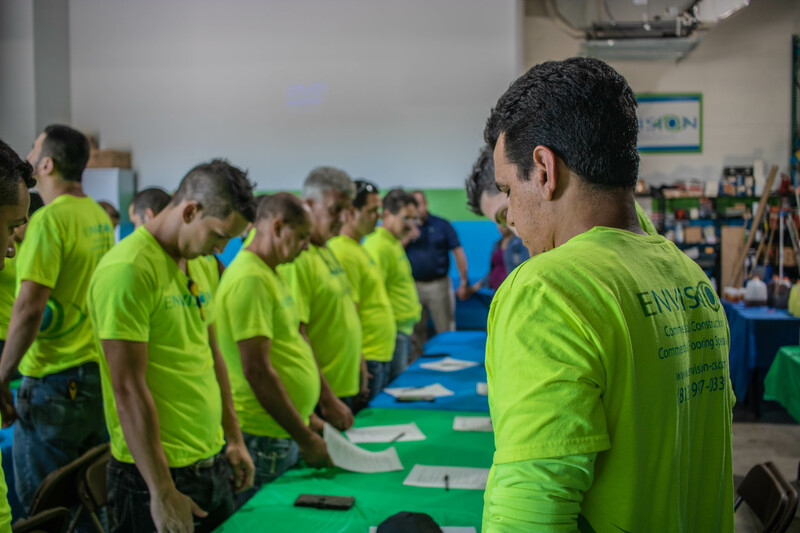 The fellowship that is fostered at each of our team quarterly meetings is something that holds significance to our team as we continue to grow at rapid speeds now more than ever before. 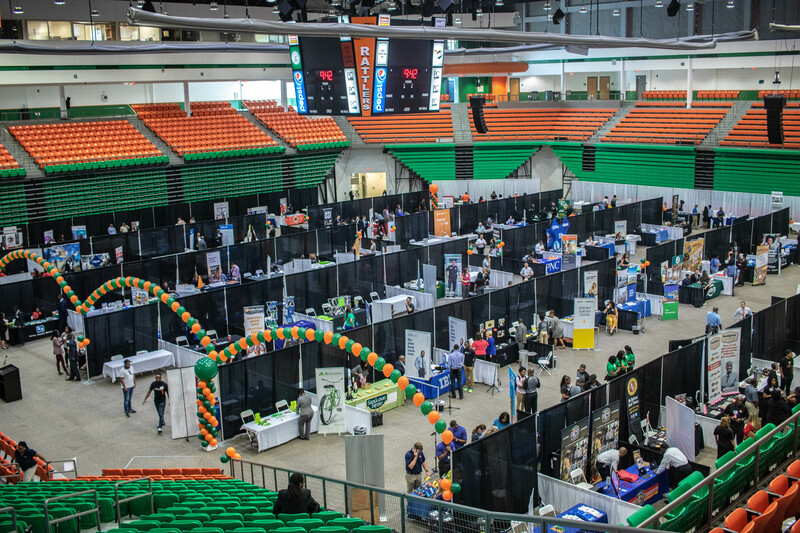 This year’s MED Week hosted by the Minority Enterprise Development Corporation, was a week that provided business matchmaking, trade shows, and seminars on topics such as establishing relationships with buyers, conducting business with the government, and much more. 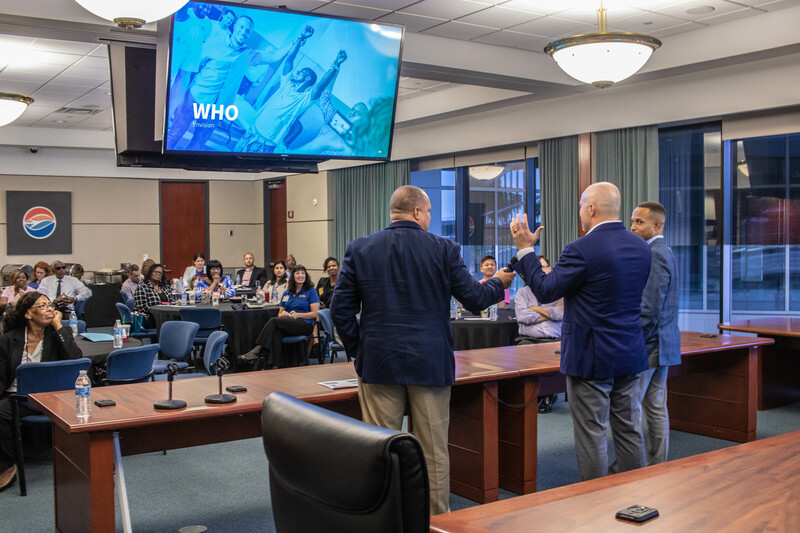 This year, the Envision team had the opportunity of presenting on who we are and our exclusive partnership with the Beck Group to a room of Purchasing Agents & Supplier Diversity Liaisons from throughout Tampa, Florida. 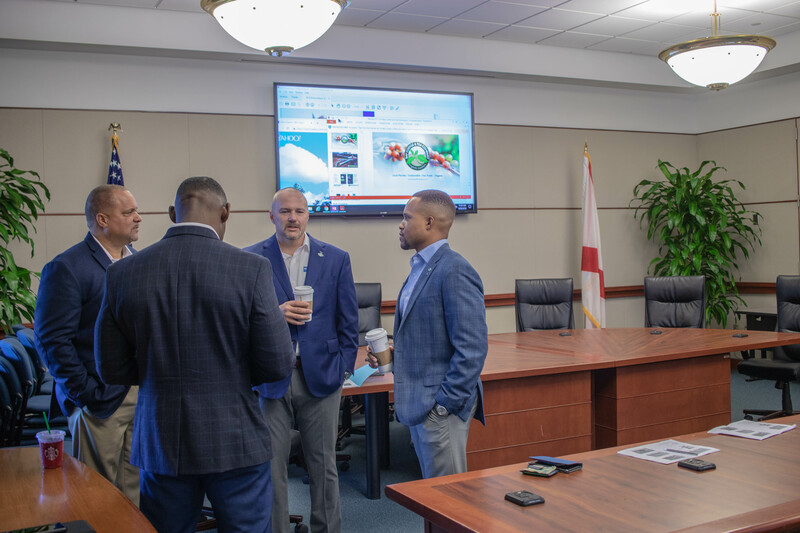 This opportunity was made possible when the Minority Enterprise Development Corporation noticed how Tampa International Airport interacted with various MBE firms on their recent expansion project and reached out to the corporation to host this year’s MED week bus tour. 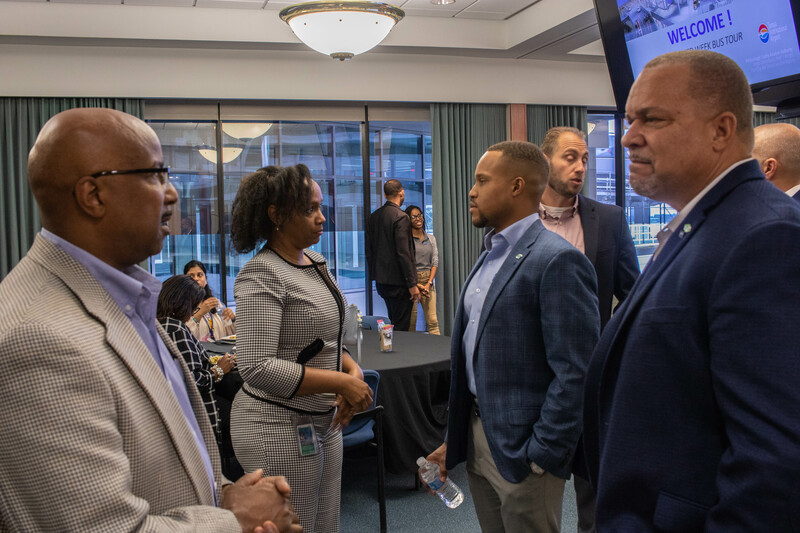 With this invitation, the Tampa International Airport reached out to a few of their most impacted MBE firms who partnered with them on phase 1 of their newest expansion projects, including Envision. From three years ago being awarded our first $60,000 contract from Tampa International Airport through Skanska, to it growing into a $2 million opportunity, we have experienced the passion and pure heart’s desire of Tampa International Airport, to not only include MBE’s on their expansion projects, but to also see them grow. 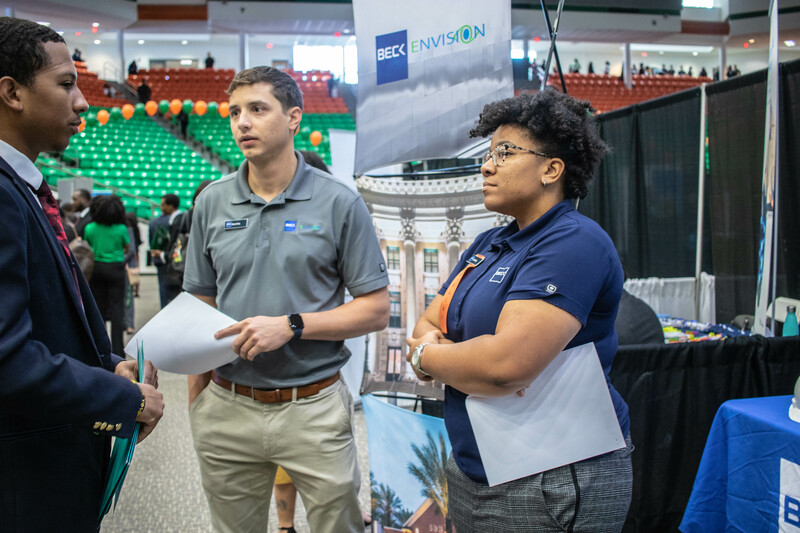 Last week, The Beck | Envision team hit the road and attended Florida A&M University’s all Majors Career & Internship Expo in Tallahassee, Florida. 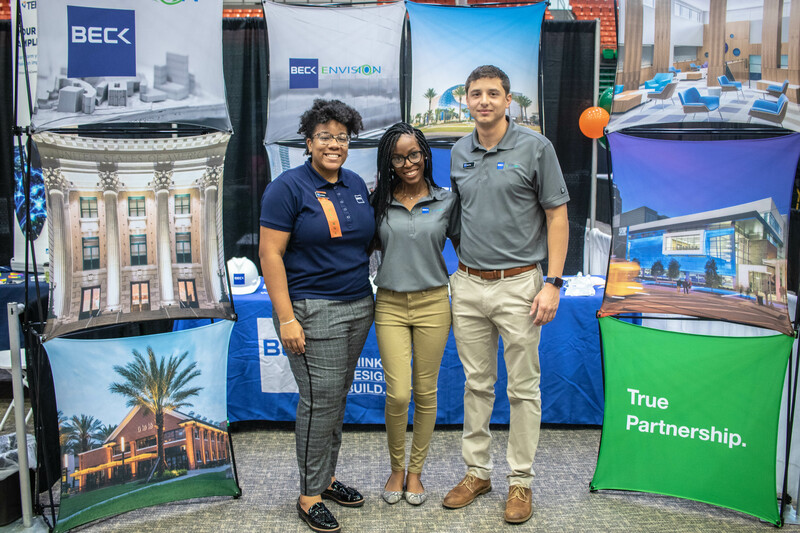 In attendance were Chris Polo, Beck’s Pre Construction Engineer, Gabrielle Howard, Envision’s Marketing Coordinator, and Zuri Mabry, Beck’s Project Engineer. During the career fair, our team had the opportunity to connect with students, both undergraduate and graduate, and exposed them to what we’re building within our organizations as well as how each participant would potentially play a role as interested candidates of the firms. 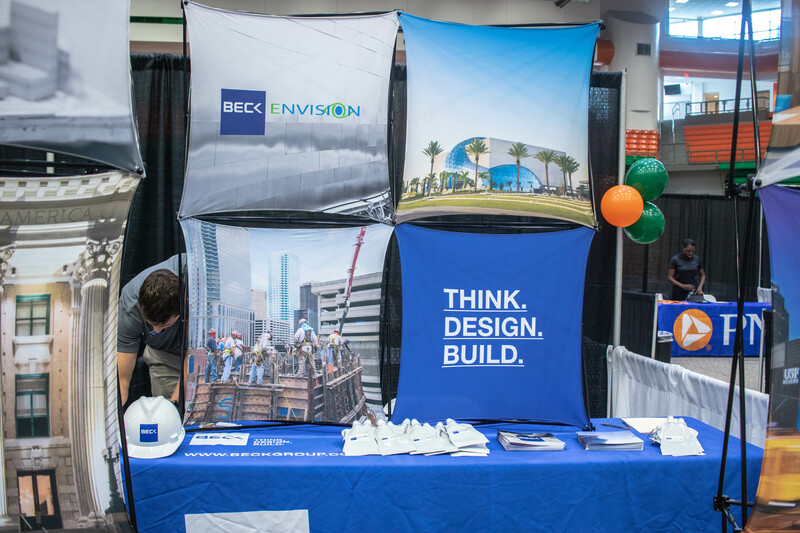 When painting a picture of what we’re building for each of the candidates who joined our booth, the team took time to describe the Beck | Envision Partnership, along with the value in it as it pertains to team integration and their future potential involvement within it. 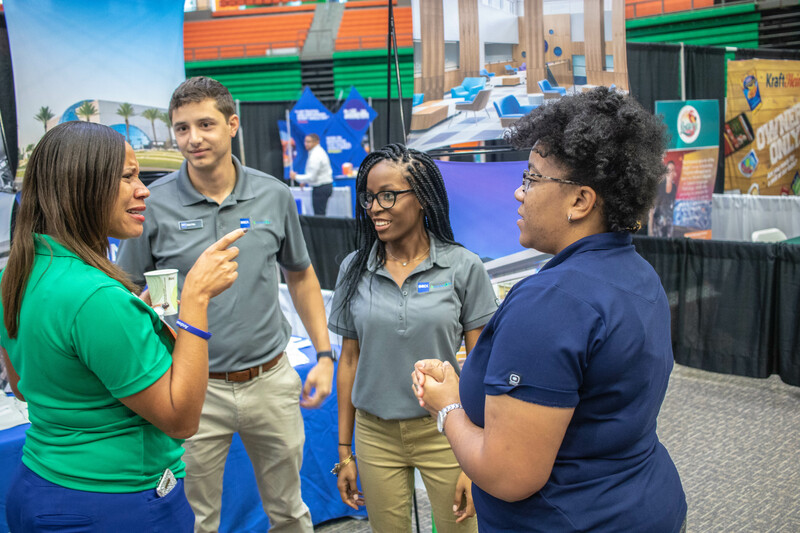 Our team had a blast connecting with the future employees of the workforce and hearing all about their interests and future plans for after college. Its events like these that help us to continue reaching and inspiring the next generation of construction leaders, not only by exposing them to the industry but also by enhancing their insights and expectations of what to look forward to in construction.